the call of the klaxon will guide me. Every time I will find this ship. are aboard, there is room. and again to different bodies. we will return to be different, to be the same. I will find my way through these streets. I've been working with artist Nick Richards for a number of years. 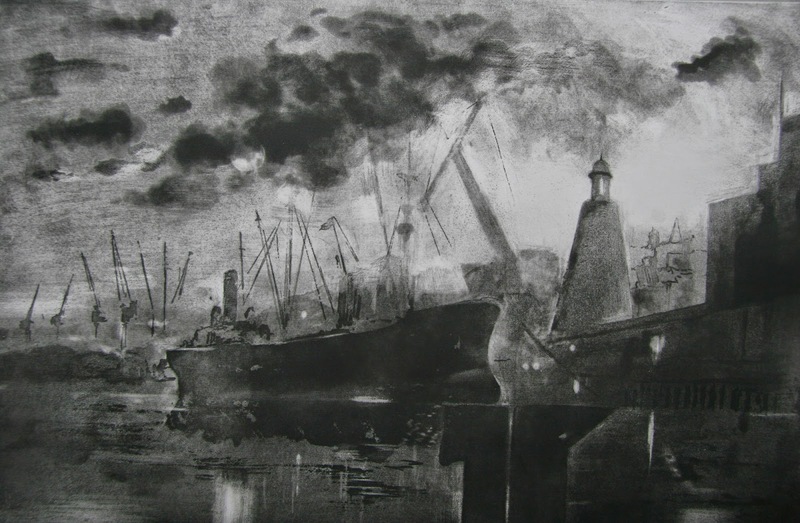 Ghost Ship is an etching that really caught my imagination. I wanted to be in the streets of the city making my way towards that ship in the harbour. Because the city scape is imaginary then I could let my ideas roam as to what I would find on board. 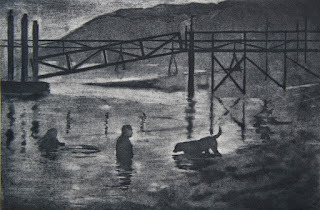 Here is another etching by Nick. Alison Wilson was born in the UK but has lived in Singapore for the past thirteen years. Her art practice includes printmaking, drawing, and papermaking. Her artwork often reflects her interest in the human desire to make a mark on the natural landscape. You can visit Alison's website here. I've been collaborating with Alison for a number of years on different ideas, You can see the Sketchbook Project here. 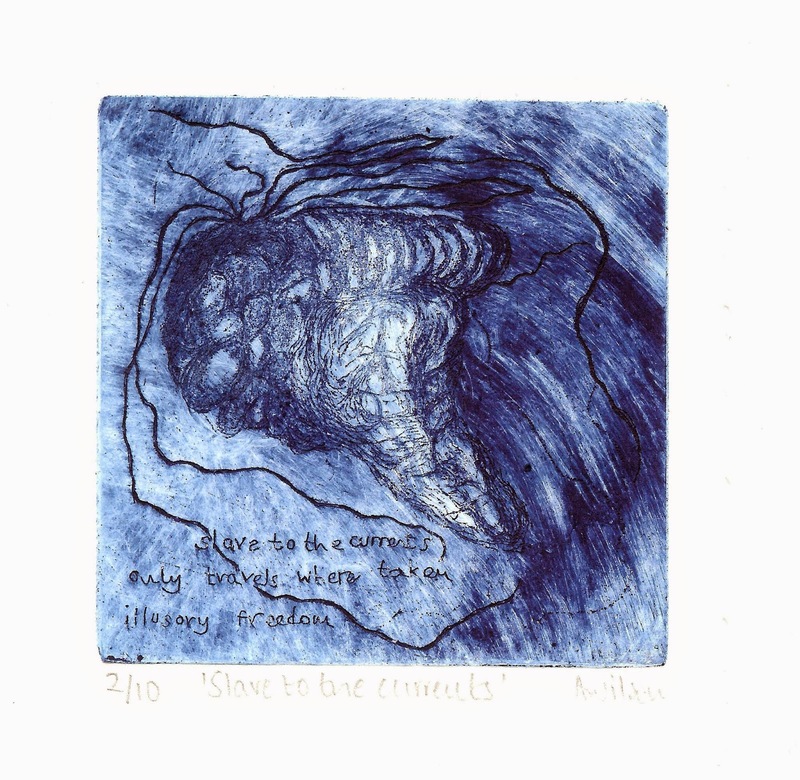 The above image Slave to the Currents began life when Alison was in Australia. She found numerous blue jelly fish washed up on a beach. The local name for these is Bluebottles, because of their startlingly blue colour, though you may know them as Portuguese man o'war. You can read a post about the event here.